If you’re unlucky enough to have to trek to Neptune during the exams, we’ve got you covered. A bus will run from opposite the Western Gateway Building to Neptune every day. 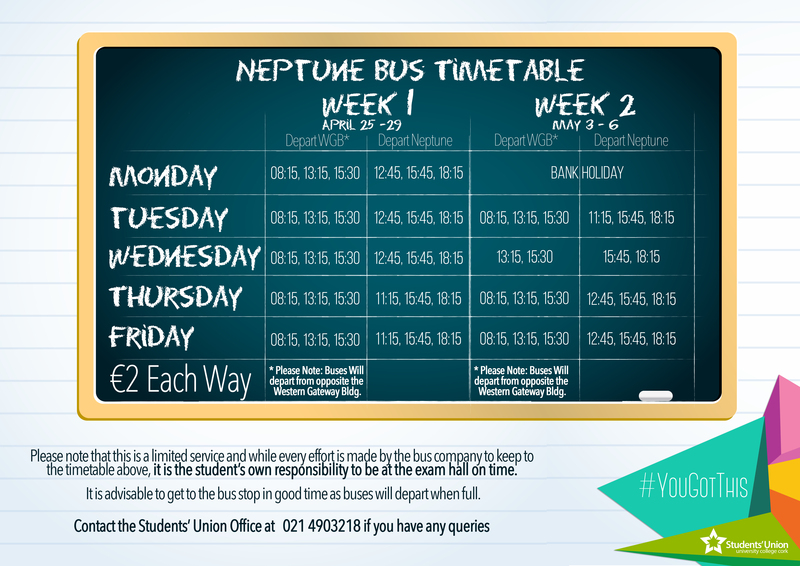 To view a large version of the timetable, click on the below image.